In her position in the housing department of her local government, Kamla Lewis didn’t expect to work on a community-changing park project, but that was exactly what Shaker Heights, Ohio, needed. A neighborhood dated more than 10 years was collapsing among countless foreclosures and outdated parks needed their city to advocate for them, and Lewis was the one to do it. The first step was asking the community what they needed. The results of these inquiries led to step two — architects and a variety of designers walking through the parks with local youth to identify what they liked about the parks and what could be improved. One particular park — Hildana Park — was put in focus. It is a beautiful gateway to the neighborhood but didn’t even have a bench. It hadn’t been updated in well over a decade. 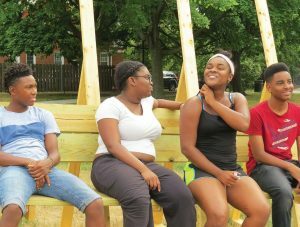 The youth built temporary benches in the park, and they were immediately used and appreciated. “It became very clear that seating was going to be a very simple thing to do in this neighborhood to improve it,” Lewis said. The invention of the smart benches was the product of a massive team of designers, architects and seemingly unrelated departments. Lewis helped implement the concept with the company Soofa, which specializes in these devices. The smart benches were first piloted in Boston, where they underwent an entire year in all elements, users and communities — and they thrived. 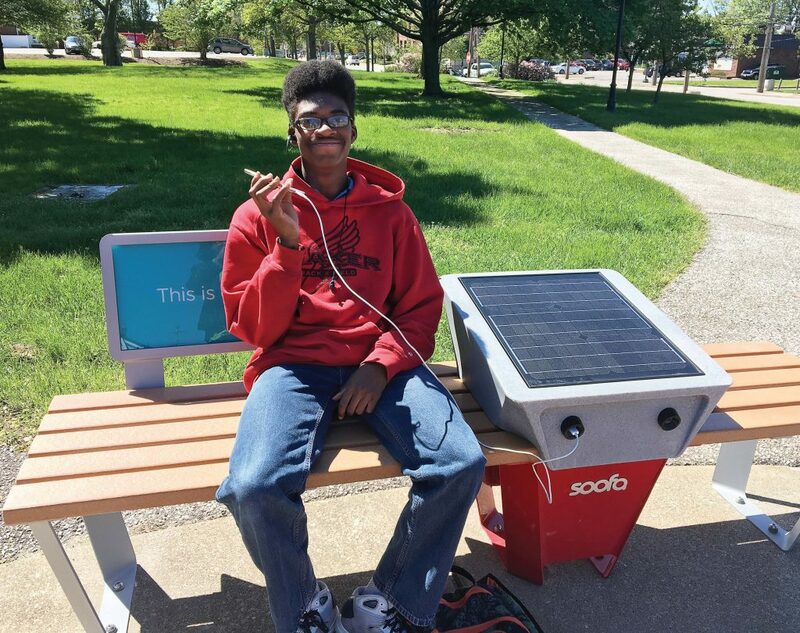 Even in the winter, the city was able to gather enough sunlight to power its benches. The benches in Shaker Heights are strategically placed in the park across from a bus stop so they can be utilized by people on many different schedules, of varying interests and of a wide age range. The park and the park benches have been a big hit in the community. Most recently, a call for artists was advertised. 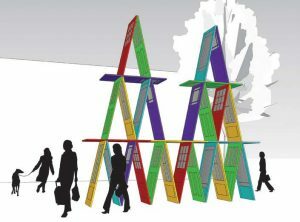 Residents want to see local art put in their beloved park. Other residents have since organized block parties in the park, and more projects are on the way. A team of women are spearheading a youth project to design mobiles that hang from trees. Others would like to do anniversary tree plantings there in order to meet the community’s need for shade. “It’s really become an entry point to everything in the neighborhood revitalization project,” she said. The project implementation has not been without its own challenges. Though few obstacles have prevented progress, the simple task of benches has a steep learning curve. “I’m the housing person … I had to educate myself so I could educate all the other departments that were going to be responsible for it,” Lewis said. Departments involved included public works, city planning, recreation, police, marketing and other utility companies.